I love finding new activewear and leisurewear companies that offer a stylish product at an affordable price for the on-the-go gals. 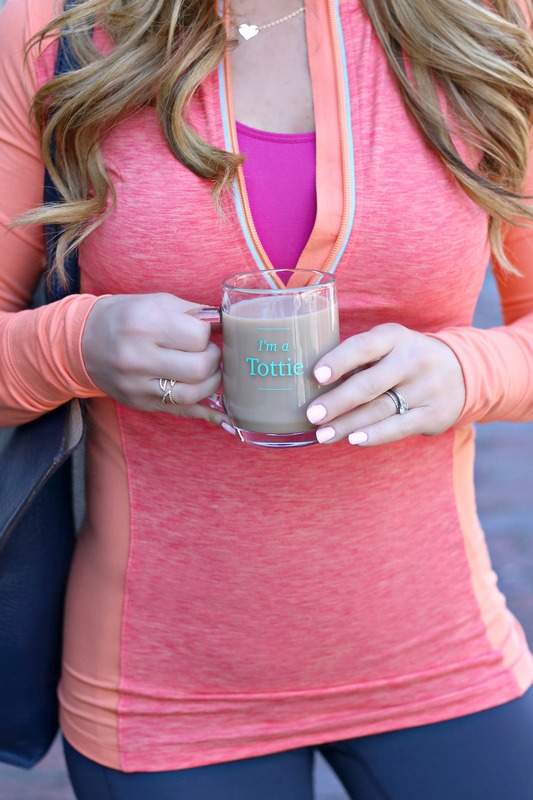 Hottotties is one I recently got introduced to and like most ladies, I’m sure, I really love the idea of breathable, comfy pieces that fit into an active lifestyle. And at a starting price point of only $30, it’s a great budget-friendly option that doesn’t skimp on quality. Hooray! Depending on your climate need, they offer three different levels of warmth. The quarter zip-up top I’m wearing here is in the mid level warmth range and for me, the fabric is a perfect weight and thickness. I layered mine over a contrasting colored sports bra and my favorite leggings for a post workout or day-of-errands look. If you love stretchy pants(who doesn’t?) on the weekends, go check them out! My eyes are peeled to see what they’ve got lined up for future collections! Next Post Blush or Bashful?